Image was retrieved from Ghazanfar786. This post was inspired by The Ultimate Hip-Hop Blog Directory (Search Hip-Hop Blogs That Accept Music Submissions) post that I put together on April 23, 2012. The popularity of online Internet radio stations such as Pandora, Last.fm, Spotify, Earbits and others has skyrocketed due to the ability to personalize play lists and the ability to have a station dedicated to similar artists. eMarketeer suggests that 37.5% of US Internet users ages 12 and up will listen to Internet radio—including online streaming of terrestrial broadcasts and online-only radio stations—or podcasts at least weekly this year. On a monthly basis, 44.3% of web users will tune in to online radio. 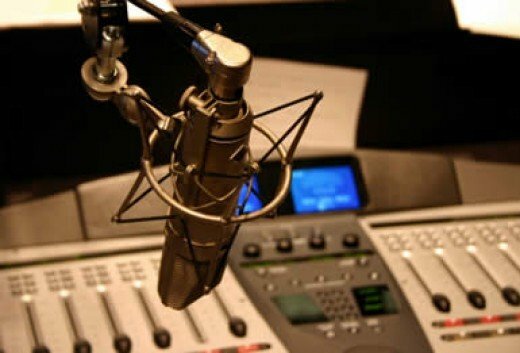 The statistics suggests that the American public is slowing drifting away from the corporate dominated radio stations and shifting towards something that is catered to them. I compiled this list as a resource for those that are looking to enhance their visibility. This list will include a variety of hip-hop based online radio stations and podcasts that are hungry for content. Blog coverage is just one avenue to gain exposure yet I still believe that online radio stations are great ways to expand one's brand. I decided to include this list of podcasts and online radio stations because I believe that artists need to continue to seek other ways to get their music heard. Thank you for your time. New additions will be bolded. Remember this list is solely based on a Twitter List that I compiled several months ago. I hope that you are able to expand your viral presence with this information. Please SHARE this information, I want you to succeed and it would be a blessing if you help others succeed. If this list is missing any radio stations/podcasts please drop a link in the comment section and I will add it to the list!